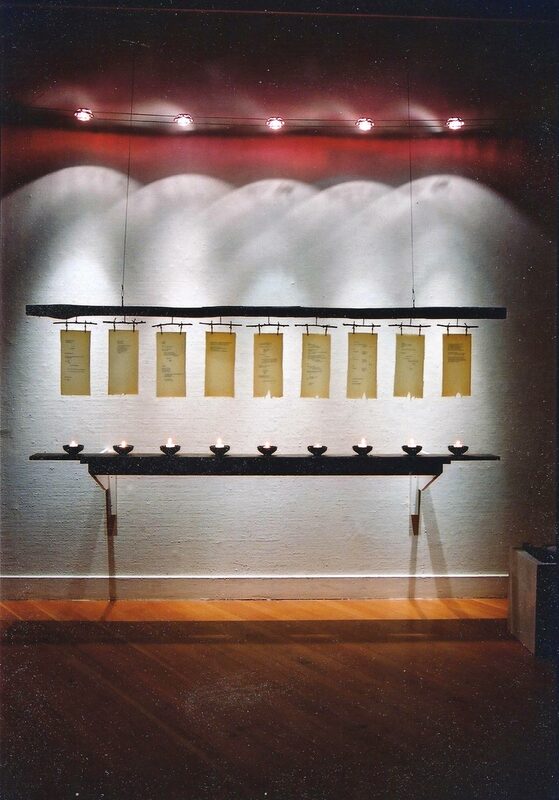 Nine Poems on the Death of My Mother was installed at the Berkeley Art Center in 2003. 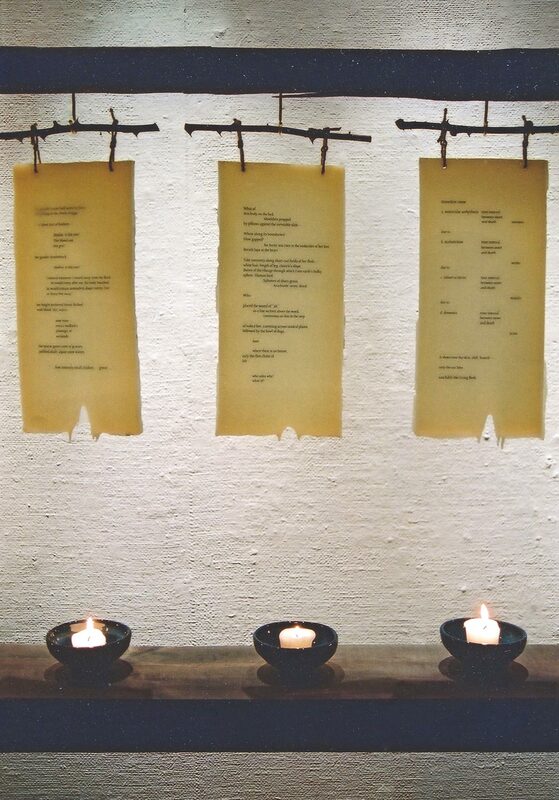 Poems were embedded in beeswax tablets and suspended over votive candles. Adam Broner was principal in the installation. 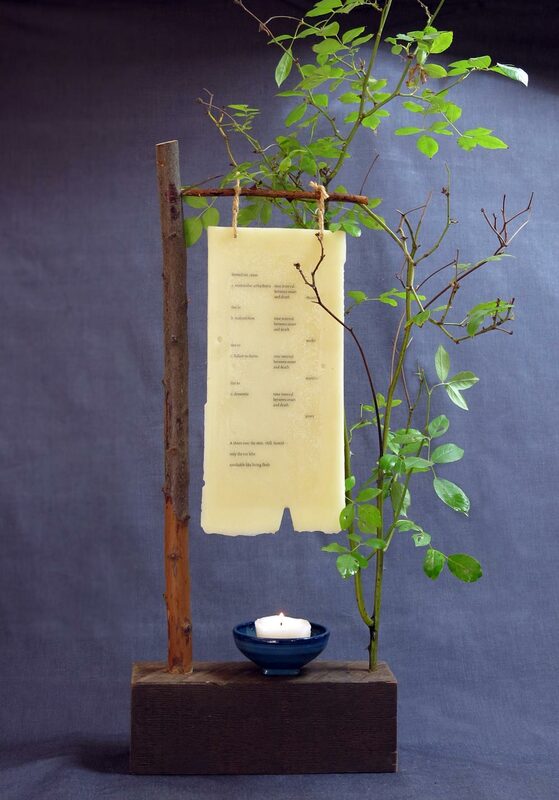 In 2015 a single tablet was used as a piece for the Sisters of Invention exhibition. Jesus Camacho did the construction of the tablet’s aperture.